hosting experts, completely optimised for your online business. Powerful Australian hosting. Made easy. Enjoy the benefits of a powerful SSD Virtual Private Server and leave the heavy lifting to our web hosting experts. We designed our infrastructure with the goal of providing Australia’s most reliable services and are so confident that we’ve backed it with a money-back guarantee. Beginning with your initial 1-on-1 consultation, our team of award-winning Australian hosting experts will be here for you 24 hours a day, 7 days a week. Easily add resources to your service as your business grows and ensure your website remains lightning fast at all times. Our hosting experts will move your service at a time that suits you, ensuring everything is running smoothly before you go live on our platform. Around the clock service monitoring and management. Our team of award-winning hosting experts are based out of Melbourne and are here to handle the heavy lifting, giving you more time to focus on your business. Using the latest enterprise quality hardware is the key to success when it comes to building Australia’s most powerful VPS platform. From high-speed DDR4 memory to SAS SSD drives and optimised RAID controllers, get ready to experience a whole new level of speed and reliability. Experience the #1 cPanel hosting environment in Australia. Our team of industry veterans have redefined the meaning of reliability and speed with these hand-picked services, designed to provide your business with enterprise-grade security, reliability, and speed. For when you need the freedom of a Fully Managed VPS on a budget. Perfect for those who need a whole lot of power without breaking the bank. Not all businesses are created equal. This server is built for the best of the best. "These guys have never failed to provide immaculate service. Any inquiry is met with professionalism and haste. Would recommend VentraIP to anyone that needs good quality hosting." 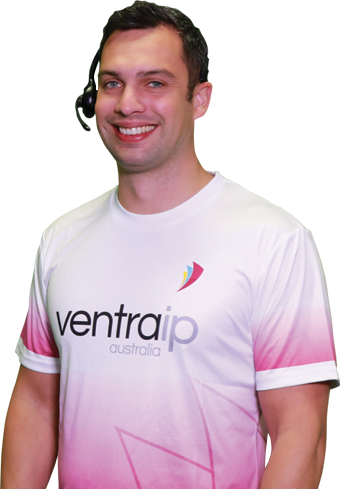 "I have had dealings with other Web Hosting companies in the course of my work and can say without reservation that VentraIP Australia is the best website hosting provider I have ever worked with." "VentraIP has it all - fantastic support, a reliable service I can depend upon for myself and my clients and a sense of community lacking in so many businesses. I'd recommend them to anyone." Our hosting experts are here for you 24/7 and can answer any questions you may have about our range of online services. Rest easy knowing that your service is safe with backups taken every 6 hours and stored on our fully-redundant R1Soft backup server. Your server will be added to our corporate Nagios system, ensuring a lightning-fast response to any unexpected events that may affect your service. Your server will have the added protection of comprehensive threat prevention that only a Fortinet hardware firewall can provide. SpamExperts’ outbound spam filtering services are the industry-leading option for online brand protection and IP blacklisting prevention. CXS actively monitors all files within your service, helping to prevent any malicious content from making its way onto your server. We've hand-picked the perfect combination of software for your server. Due to its incredible range of features, cPanel is widely considered the #1 web hosting control panel available. Makes the installation, deployment, and management of web applications as easy as the click of a button! Improve the security, reliability, and performance of your server with CloudLinux and KernelCare. The fastest, most lightweight web server available, LiteSpeed Web Server conserves resources without sacrificing performance, security, or compatibility. Running out of storage space is a thing of the past thanks to our customisable hosting platform. Please note that this add-on cannot be removed once added. Easily add or remove additional bandwidth whenever you need it thanks to our streamlined process and customisable hosting platform. Introducing the new way to make supporting your Virtual Private Server as quick and easy as possible! Every month you’ll be given access to 5 Server Management Jobs that involve a 1-on-1 consultation with one of our web hosting experts where we’ll scope out exactly what you need and then get it done at a time that suits you best. Whether you need it ASAP or at 3am Sunday morning, we’ll get it done. Once you’ve signed up for your Fully Managed Business VPS, one of our web hosting experts will go through the process of installing all of your licenses, software, and addons. Once everything is setup a member of our senior team will then give you a call and walk you through everything you’ll need to know about your new product as well as answer any questions you may have. We’ll even process all cPanel migrations from you old hosting environment at a time that suits you best! Let one of our web hosting experts know when they give you a call and we’ll schedule the migrations at a time that suits you best. We’re so confident about the stability and reliability of our infrastructure that we’ve provided all Fully Managed Business VPS customers with a 99.9% uptime guarantee that’s backed by our Service Level Agreement. We don’t believe in lock-in contracts! You’ll never find any here at VentraIP Australia and can always refund any unused time if you decide to prepay for your service. How do I set up my Virtual Private Server? Once your purchase is complete, one of our web hosting experts will provision your server and perform the initial setup before giving you a call to walk you through all the finer details of your product. We encourage you to ask any questions you may have and take the time to discuss what you hope to do with the server so that we may provide advice on how to proceed. How much does it cost to migrate over to VentraIP Australia? During your initial consultation our web hosting expert will organise a migration of any existing cPanel services that you may need moved to your new server at absolutely no cost to you. What is a root password and will I need it? The root user is the default account that has complete access to all commands and files on the server. The root password is simply the password that is required to access the root user. To make managing your server as easy as possible, we store the root details in our database for use during ongoing maintenance, support, and service optimisation. Due to the way in which we manage your VPS, there’s no reason you’d ever need to access the root user or need the root password for your server. cPanel® is the worlds most popular and powerful tool for Linux Web Server management. Through its vast array of features, excellent support, and friendly interface web users are able to effectively manage their website and email solutions. The easy to navigate cPanel® interface allows users to effortlessly set up their website and it’s various functions, taking away the stress of getting your business online. Dell’s enterprise-grade range of hardware is widely considered to be ahead of their competitors, providing the most reliable products in the world. Through their groundbreaking efficiency in cooling, power, and performance Dell’s range of servers are an excellent choice for VentraIP Australia’s hosting environment. Intel’s latest range of processors simply cannot be beaten in terms of sheer power and efficiency. Providing an industry-leading quality of service and support, VentraIP Australia is proud to be partnered with Intel. LiteSpeed Web Server is a direct replacement for the more commonly-used Apache Web Server, using fewer resources while also offering improved performance optimisation, protection, and efficiency. LiteSpeed Web Server conserves your resources without sacrificing performance, security, or compatibility. Acronis offers fast cloud backups that are fully-redundant and are completely scalable. The Acronis Cloud Backup platform provides VentraIP Australia with everything needed to ensure that your service remains backed up at all times. SonicWall provides hardware firewalls that are designed to keep your server safe at all times thanks to advanced threat prevention and active mitigation solutions. SpamExperts offers email security solutions to Shared Web Hosts, Distributors, ISP’s and Telcos spanning over 80 countries. 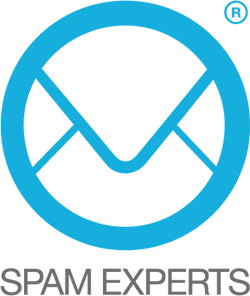 SpamExperts’ products integrate with existing email infrastructure and work out of the box to provide a sustainable and robust email security solution, ensuring customers and service providers are protected from spam, viruses and malware.